Public Schools Adopting Bible Curriculum - Yours Can Too! You Are Known By What You Say and the Company You Keep! A program is underway to serve the public through educational efforts concerning a First Amendment right and religious freedom issue. This is to bring a state certified Bible course (elective) into the public high schools nationwide. The curriculum for the program shows a concern to convey the content of the Bible as compared to literature and history. The program is concerned with education rather than indoctrination of students. The central approach of the class is simply to study the Bible as a foundation document of society, and that approach is altogether appropriate in a comprehensive program of secular education. The world is watching to see if we will be motivated to impact our culture, to deal with the moral crises in our society, and reclaim our families and children. Please help us to restore our religious and civil liberties in this nation. To date, our Bible curriculum has been voted into 3,274 high schools in 41 states. Over 650,000 students have already taken this course nationwide, on the high school campus, during school hours, for credit. – The National Council on Bible Curriculum in Public Schools (NCBCPS) is introducing the electronic version of their course "The Bible in History and Literature." This version will be for students to use on their school computers and will include not only the text from the original textbook, but it also includes movies, DVDs, and slides. Two new elective courses to be taught during the next school year at Lubbock, Monterey and Coronado high schools will involve students' using a famous textbook chosen by the Texas Legislature - the Bible. A literacy study of the Old Testament will be offered in the fall semester, and a similar New Testament study will be taught in the spring of 2011, according to Misty Rieber, coordinator of social studies for the Lubbock Independent School District. Offering the courses wasn't a decision made on the level of local school districts. House Bill 1287 from the 2007 Texas Legislature requires Texas school districts to offer the courses to students in grades nine through 12 if enough students show an interest in taking them. The Bible courses will not be taking a religious perspective, Rieber said. "What it says in the law is that the purpose is not to proselytize but to look at the history and literature connections from the Bible to our society and our culture," she said. The Texas Education Agency set 15 students who sign up for the courses as the minimum number for sufficient student interest, Rieber said. That was no problem at Lubbock High, Monterey and Coronado, where a combined number of more than 100 students have signed up for one or both of the Bible courses, Rieber said. Some of the schools may even have more than one section of the courses. However, there haven't been enough students at Estacado to warrant the courses, she said. "Things change over the summer, but as it stands now, they just didn't have enough students with room in their schedules," Rieber said. That was the same circumstance at Lubbock-Cooper High School, which will not offer the Bible courses, said Jo Ellen Henderson, Lubbock-Cooper director of public information. Like Estacado, Lubbock-Cooper is a 3A high school with a much smaller student body than 5A schools Lubbock, Monterey and Coronado. The Bible classes aren't being planned at Frenship High School, said Andy Penney, Frenship Independent School District director of public relations and information. "At this time, we don't have enough interest to offer a course like that for 2010-11," Penney said. Most of the Lubbock ISD students who are planning to take the courses signed up for both semesters, but a few of them were only able to fit one of the courses into their schedules, Rieber said. Any students from freshmen to seniors are eligible to take the courses. "Typically it would attract upperclassmen because it is a special topics course, which means it is an extra elective for students," Rieber said. 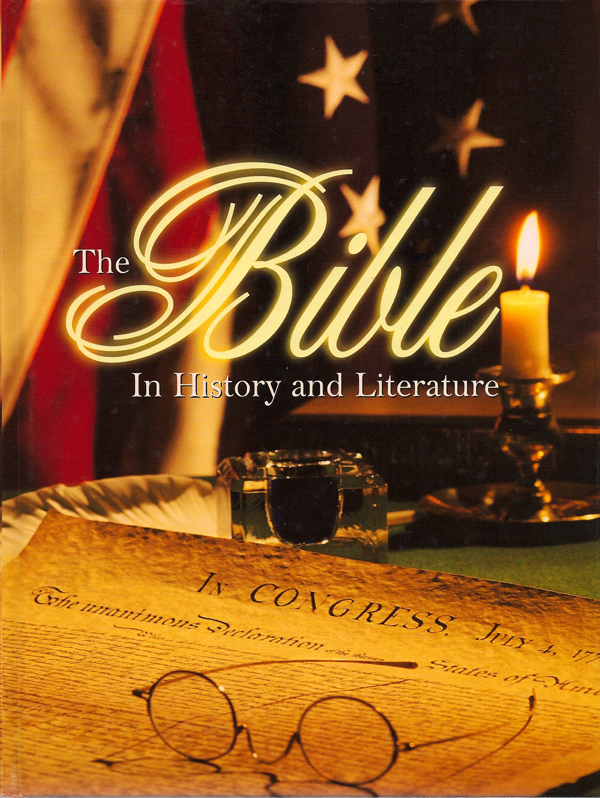 Although the Bible is the primary textbook of the literacy courses, there is a supplemental text as well: "The Bible in History in Literature," published in 2007 by the National Council of Bible Curriculum in Public Schools. The Lubbock school district appointed a Bible Literacy Curriculum Committee of six teachers who are voting members and two administrators who are non-voting members. The six voting members of the committee chose the supplemental text, Rieber said. The committee members were split between backgrounds in history and in literature (English/language arts), but they did a good job of combining the two perspectives, Rieber said. "They were professional and respectful of one another's opinions," she said. The committee members chose the text from three choices eligible for consideration. "They picked the one they thought would best meet the needs of the classes," Rieber said. 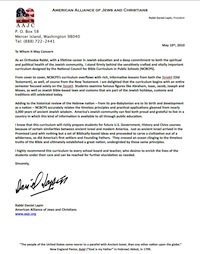 The National Council on Bible Curriculum has had its Bible course implemented in 2,080 public high schools to date. Over 370,000 students have taken this course nationwide.